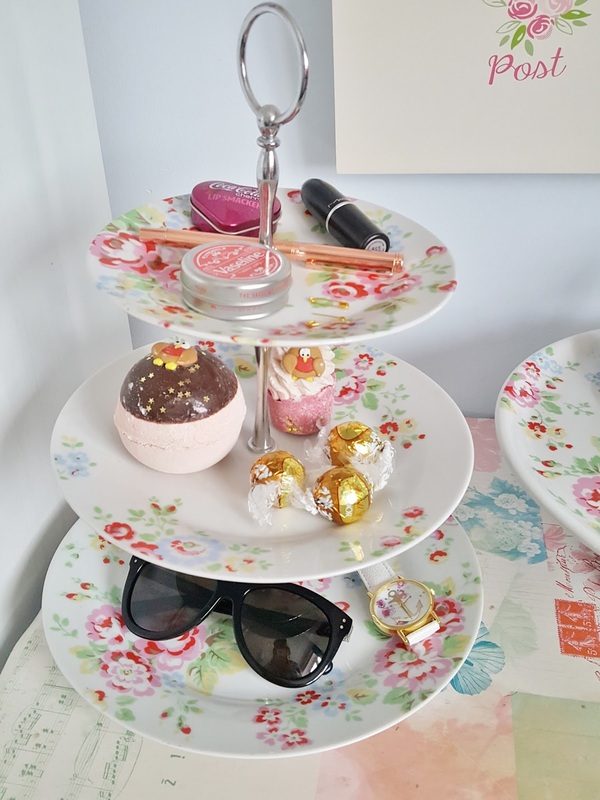 Over the years I have managed to collect quite a few cake stands! I used to do a lot of baking and often used the stands for the cakes I baked. Although I don’t bake much any more unfortunately, I do still make use of the cake stands I have accumulated. In fact I have had two of them in my bedroom for years, both of which I use daily. resist and I was determined to get lots of use out of them. cake stands sit next to each other on a little table in my bedroom. 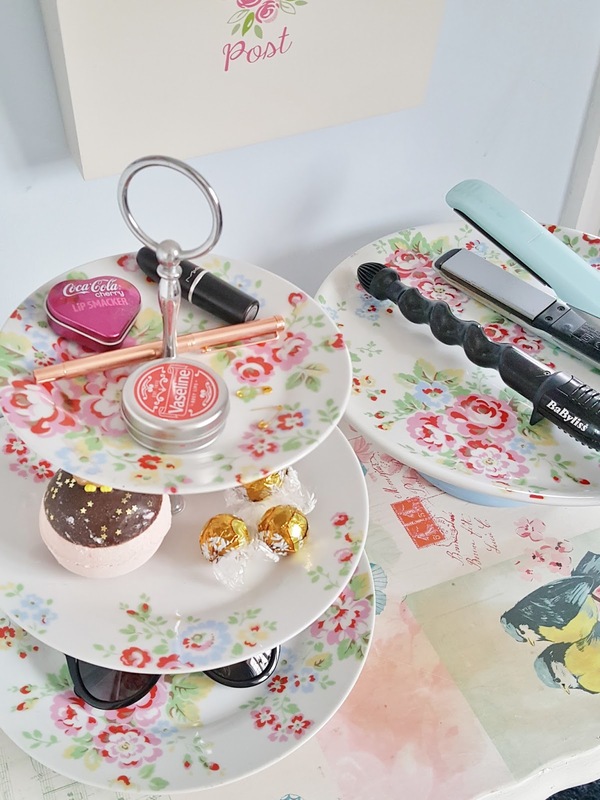 I use the tiered one as a little desk tidy to be honest. 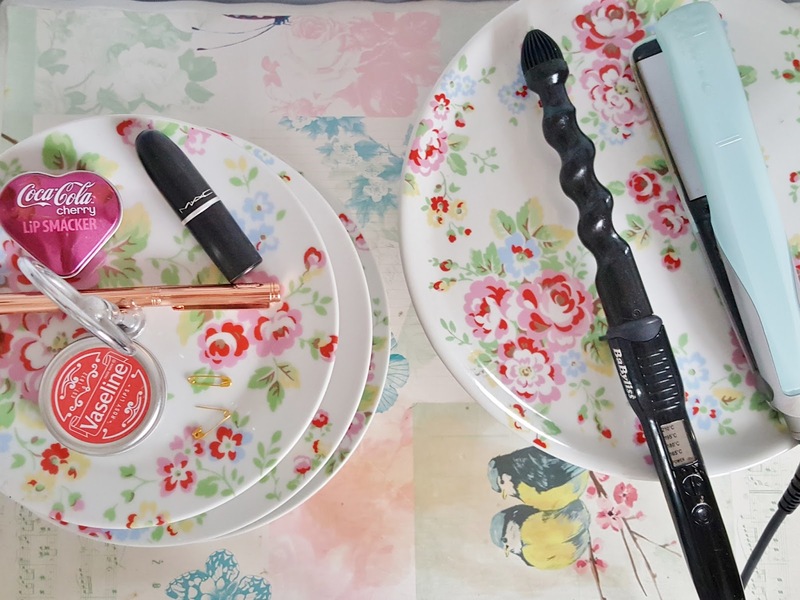 It’s nice and easy to use just as a bit of storage and it stops me from losing small things like hair grips and safety pins! I keep all kinds of bits on there.. lipsticks, pens, sweets, receipts, sunglasses, jewellery.. all sorts! And because it’s next to my door it’s easy access so sometimes I end up just chucking anything on there on my way past! I think it makes quite a neat and pretty storage solution, and you can get quite a lot on this three tiered one! A great idea for storing all you bits and pieces. 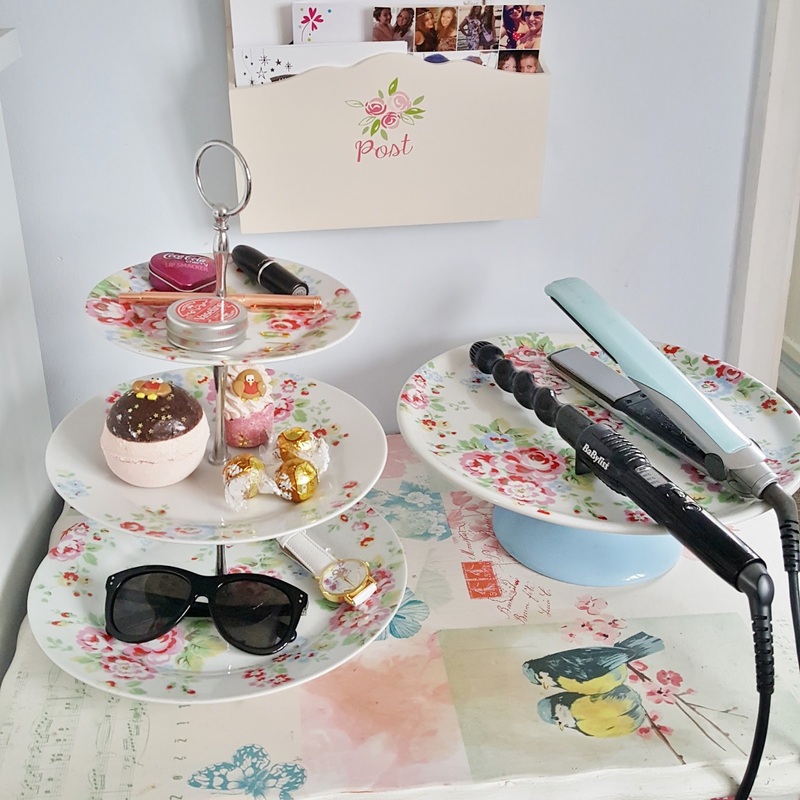 This would look lovely on a vintage inspired dressing table. I love anything Cath Kidston!